Please keep this in mind when booking: Classes booked within less than 24 hours may have to be rescheduled due to space constraints upon rare occasion. 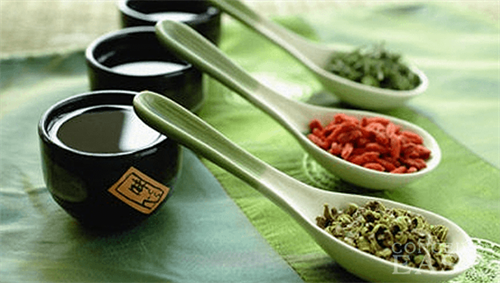 Traditional Chinese Medicine is an ancient art AND science. With the advancements of Western Medicine, Chinese practitioners have taken the best of both worlds to treat their patients - without leaving herbal and medicinal teas out of the equation. Your instructor, Dong Chen, certified in Chinese Herbology from Shanghai, China (her birth place and home town), will be leading a fun, interactive, and education filled class based on her personal experiences of navigating her health and that of her family. This class like her Qigong exercise class will also teach the philosophy behind how Qi, the vital energy of life, works and why it is not about treating particular symptoms but about balancing the whole person in Chinese thinking. Students will be making their own teas as well as engaging in stimulating conversations guided by Dong. Accompanying, your teas class, will also be a mini-lesson on pressure points and how simply pressing on certain areas can help with common ailments. By purchasing an experience, you are agreeing that you have read our terms and conditions. At Unity Community Center, the location is conveniently located near the Berwyn Redline and many buses. There is also plenty of street parking west of Broadway near the location as well. Classes booked later than 24 hours before class may have to be rescheduled. Classes meet Saturdays from 12:00pm noon to 1:30pm upon booking. Please email charlotte@seedscenter.org for any additional questions. Class sizes are small so they are extra fun and attentive and if you buy any Seeds Center Sampler package, and the price is discounted for your one-time classes! Simply purchase one of the gift certificate options found here: https://www.verlocal.com/pages/purchase_certificate?host_id=131622 to have access to the sampler discount. Samplers are redeemed at the seedscenter.org website and you will be emailed instructions on how to redeem.